The Tłı̨chǫ All-Season Road will officially begin construction in the fall of 2019. 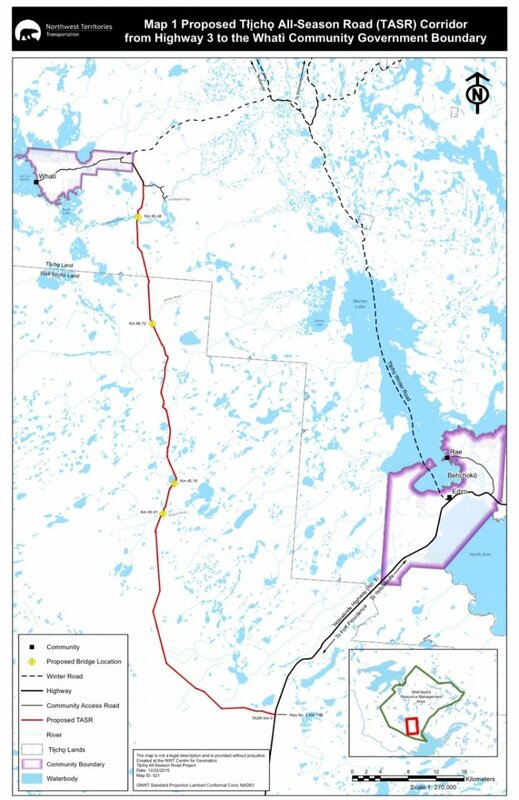 The Government of the Northwest Territories, in partnership with North Star Infrastructure, is building a new all-season road, connecting the community of Whatı̀ to Highway 3 near Behchokǫ. The Project includes First Nations involvement, with the Tłı̨chǫ Government taking 20% equity ownership in NSI. NSI will be contractually obligated to procure a meaningful percentage of project resources and labour from First Nations and/or local NWT Businesses. Over the contract period, they will also be required to ensure that a significant amount of the road is built within the Tłı̨chǫ community. Tłı̨chǫ Government Grand Chief George Mackenzie says that the road will run through Tłı̨chǫ lands and that Tłı̨chǫ Government’s equity ownership in NSI recognizes and respects this important fact. Construction on the new road, which will start in the fall of 2019, will see the development of a new 2-lane, 97-kilometre gravel all-season road, providing a year-round connection from Whatì to Highway 3, southwest of Behchokǫ. 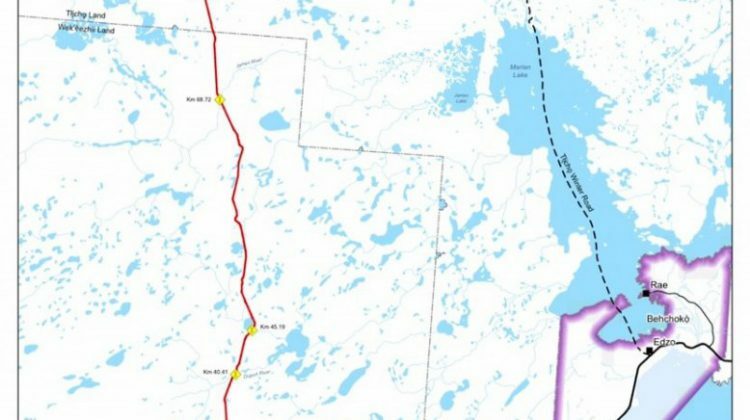 Robert C. McLeod, Minister of Finance says this is a major step in improving connectivity for all residents of the Northwest Territories. Minister of Infrastructure Wally Schuman notes that this announcement brings the GNWT one step closer to building an all-season road to Whatı̀ and fulfilling their mandate commitment to pursue new transportation projects. The new all-season road will have a two to three-year construction period and 25-year operating, maintenance and rehabilitation period.